Japan passed a law Friday that allows 83-year-old Emperor Akihito to step down, setting the stage for its first imperial abdication in more than two centuries. These are five thing to know about the Japan's royals. The Japanese imperial family is believed to be the world's oldest, dating back to more than 2,600 years. 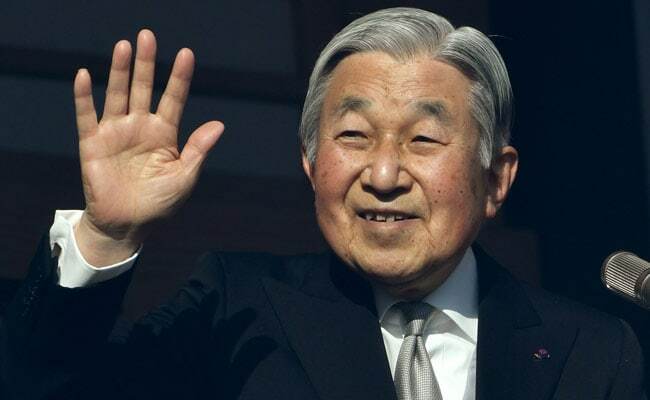 Tokyo, Japan: Japan passed a law Friday that allows 83-year-old Emperor Akihito to step down, setting the stage for its first imperial abdication in more than two centuries. The Japanese imperial family is believed to be the world's oldest, with a myth-filled history that dates back more than 2,600 years. Akihito is the 125th emperor since Emperor Jimmu, said to be a descendant of the legendary sun goddess Amaterasu. Emperors have played a crucial role in the country's native Shinto religion, conducting various annual rites and prayers for the prosperity of the nation. The greatest threat to the imperial family's long history came with Japan's defeat in World War II. Some in the Allied camp wanted to end the monarchy in whose name Japanese armies marched through Asia-Pacific. But US General Douglas MacArthur, who led the post-war occupation, called for it to be retained, though its power was greatly curbed. The current US-imposed constitution took away the emperor's semi divine status and turned him into a national "symbol" as part of a radical democratisation. Unlike in some countries with royal families, there is no republican movement in Japan and the emperor and royal family have won the admiration of the vast majority of the country. Emperor Akihito and Empress Michiko journey to sites of natural disasters to console victims, most notably after the 2011 earthquake, tsunami and nuclear disaster. Akihito -- the son of wartime emperor Hirohito -- has repeatedly warned that Japan must not downplay its 20th-century militarism and actions in World War II. His remarks have been seen as a rebuke to the nationalist stance of Prime Minister Shinzo Abe and likeminded conservatives. The family operates under hereditary, male-only succession rules, although there have been eight empresses in past centuries. Upon the abdication of Akihito, his oldest son Crown Prince Naruhito will assume the Chrysanthemum Throne. Naruhito's younger brother, Prince Akishino, is next in line. The only other male heir, 10-year-old Prince Hisahito, Akishino's son, is third in line to the throne. If Hisahito only has daughters, the family is likely to face a succession crisis unless laws are changed. The scarcity of young men in the family has prompted talk of alternatives, including letting women ascend the throne, though traditionalists abhor the idea. Some have suggested that female members of the family who marry commoners should stop losing their royal status -- as will happen to Akihito's granddaughter Princess Mako when she weds her college sweetheart. Others advocate expanding the family to include distant relatives. Parliament has called on the government to "consider" plans to allow female members to stay in the royal family even after their marriage with commoners.